Have you been bit by the crafting bug? Do you look at your bare windows and pillow-less couches and wish desperately that you knew how to sew in a straight line? You know that in most cases it would be more frugal to DIY your home decor, but you just don’t know how! Don’t worry, there’s plenty of help available! Some of it’s free and some of it’s not, but the skills you will learn will be well worth the investment. Learn how to knit from easy and well edited tutorial videos! Check out their forum for frequently asked questions and one on one support from both novice and advanced knitters. 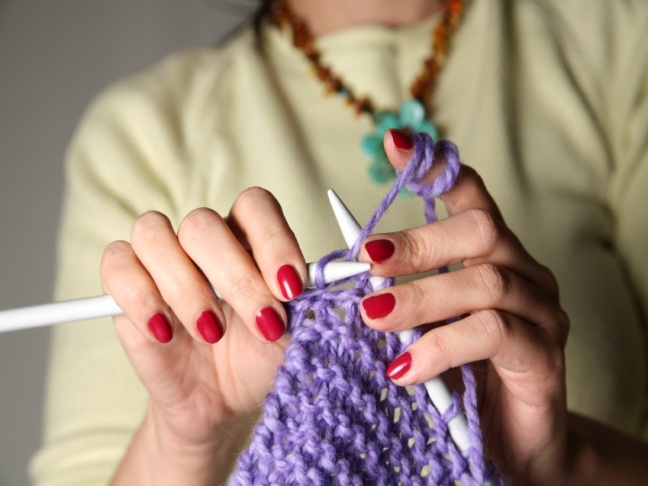 Find a charity to knit for or find knitting stores and knit-alongs near you! I personally taught myself to knit using this site. There is also advice on crocheting. Knitting is a great frugal way to make gifts for loved ones. A handmade knitted baby blanket is often more meaningful then a department store purchase anyway. Youcanmakethis.com basically taught me how to sew. With patterns (PDF) from a large variety of designers, you’ll find there isn’t a pattern available that isn’t well thought out and impeccably put together. With 50+ free patterns for everything from pot holders to pillows to petticoats, you don’t have to pay a dime until you find yourself more comfortable with this crafty stuff! They even have advice on how to start your own crafty business! Be sure to check out their sister sites www.SWAKembroidery.com and www.YouCanQuiltThis.com. SewMamaSew.com has free patterns, tutorials and even an online store! Learn how to alter your pants, follow a pattern and even how to buy a sewing machine! SewMamaSew.com also has a forum and blog where you can get more involved in the sewing community. Learning to craft is as easy as doing a Google search nowadays! Hopefully these sites will give you a good starting point. Remember, if you ever get stuck just check YouTube! Just because you know it’s cheaper to make it yourself, still doesn’t mean it’s in the budget! Estimate project costs before you get started. Good luck! I know you’ll love exploring your craftier side.